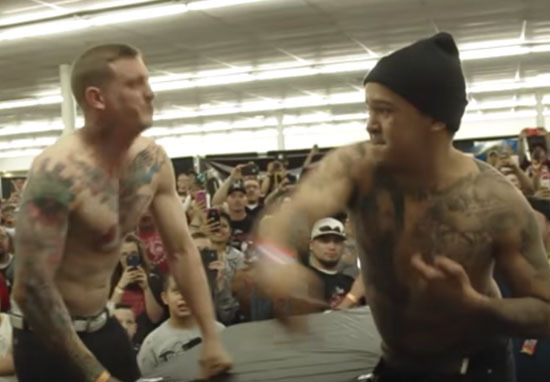 A slap off competition came to an end when one contestant beat another with a brutal knock out. Adding to the long list of things people participate in that I don’t understand: a slap off competition. 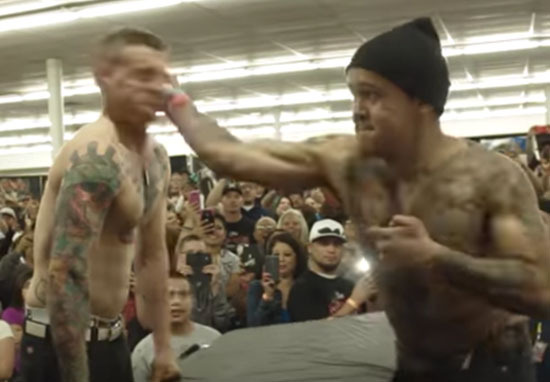 The Inkmasters Tradeshow in the USA held a competition for those who wished to try and out-slap each other, with opponents facing hit after hit in an attempt to become the slap champion. Because who wouldn’t want to volunteer to get hit in the face? The competition undoubtedly saw some painful looking slaps, but one round came to an end when one contestant slapped the other so hard, they were actually knocked out. I’m not exactly sure what the rules of a slap off contest entail, but I imagine it’s up to the person being slapped to see how long they can take the repeated pain for, while at the same time trying to out-slap their opponent. The people in this contest must have really been working on their form and strength, because these slaps are leagues above something you might see from an aggravated teenager in a rom-com. The video of the championship game began with the announcer telling the two contestants ‘I want you to keep it friendly’. Now, my idea of being friendly doesn’t usually involve slapping someone in the face so hard that they’re knocked to the ground, but maybe it’s an American thing. The crowd didn’t actually seem to cheer that loudly, so I’d dread to think what would happen to the men if the volume of the crowd really did affect their slaps. The two men played rock-paper-scissors to determine who would slap first – a battle that solidified the fate of the losing contestant. The pair shook hands, and the winner of rock-paper-scissors prepared to slap. He teased his opponent, drawing his hand back in a pre-slap motion before dropping it again. The slapper then released his winning slap, whipping his opponent across the cheek with a crack that sounded just as painful as it looked. The guy receiving the slap went down instantly, falling in the same direction as the slap headed as the force behind the hit pushed him sideways, rendering the receiver unable to remain on his feet. The crowd and the man who did the slapping both went wild, jumping up and down while the other contestant struggled back to his feet to shake the hand of the man who brutally hit him in the face. According to the announcer, the knock out was the second in the history of the competition – making both slapper and slapee memorable in the world of slap offs. 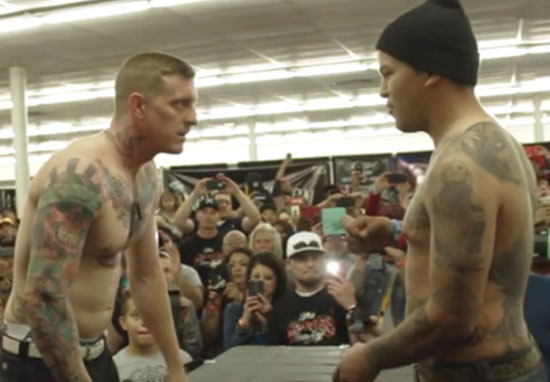 The man who was knocked out left the competition, and his opponent stepped up to a new match in the final of the contest. For lack of a better way to describe the events, I’d say the two men slapped honourably, until the second opponent threw in the towel and left the man with a slap hard enough to knock out a man the winner. The winner took home $200 – which I’m not even sure is worth the pain he no doubt endured. I hope he spent some of it on an ice pack for his cheek.